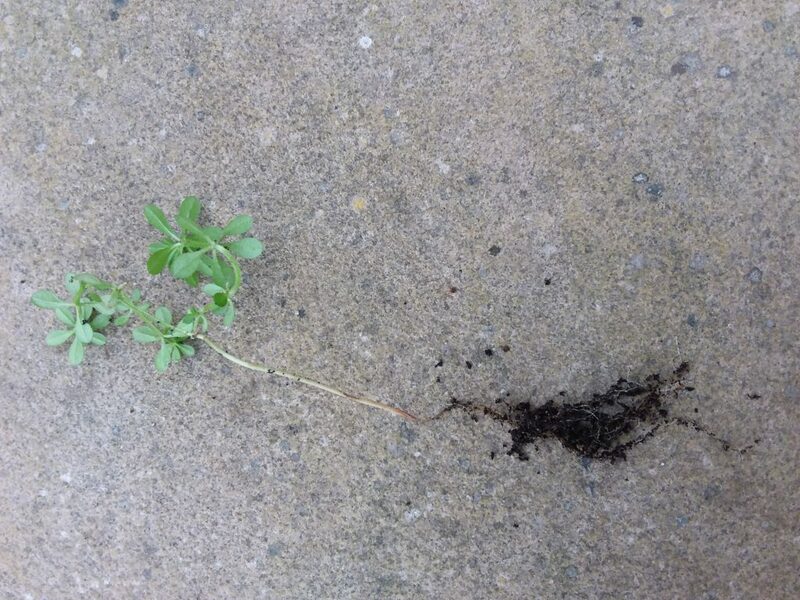 Observe the thinnest, weak looking stem of this Cleavers seedling Galium aparine. 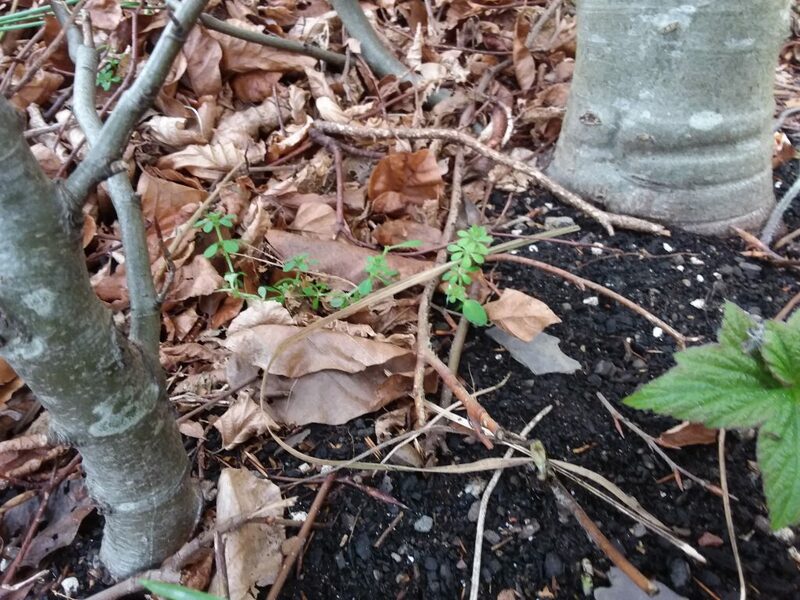 Yet it will have the power to draw water and nutrients from the roots pushing these essential elements for life to the foliage ensuring rapid growth of this annual weed. Given support reaching two metres in height and following flowering producing plentiful seed for the 2020 generation. Arm yourself with a sharp bladed hoe and just scratch the surface of the soil disturbing the root, cutting the stem. This, combined with a drying wind will soon result in desiccation. The decaying green matter adding organic matter to the soil. Spend a few minutes a day and you will get on top of a potential weed infestation and boost your vitamin D.